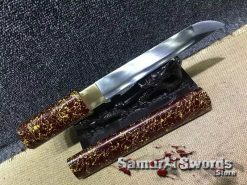 T10 Clay Tempered Steel Functional Shirasaya with Bohi. 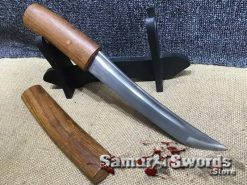 the blade is full tang, featuring Rosewood Saya With Buffalo Horn. 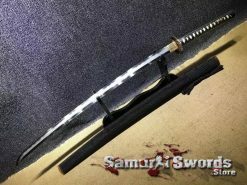 Samurai swords, especially the katana, are unique weapons. 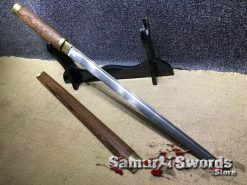 These were produced by expert swordsmiths via hand forged blades. 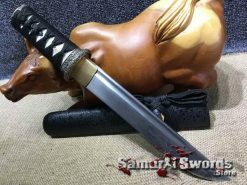 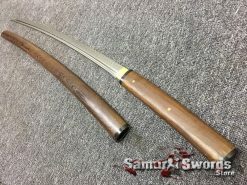 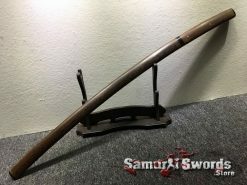 Sword collecting is an exciting hobby to get in to, and a great sword to invest in is this katana shirasaya. 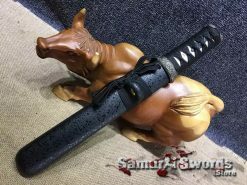 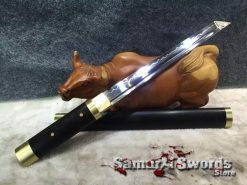 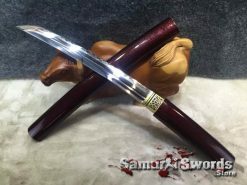 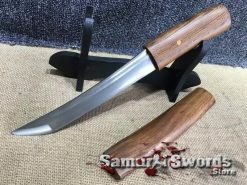 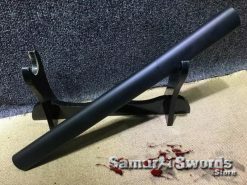 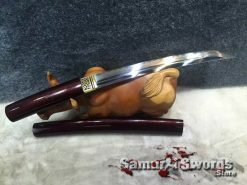 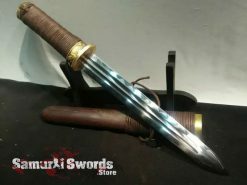 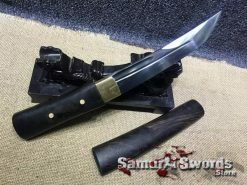 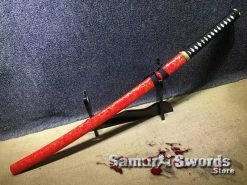 It is a fully functional sword with a rosewood saya with buffalo horn. 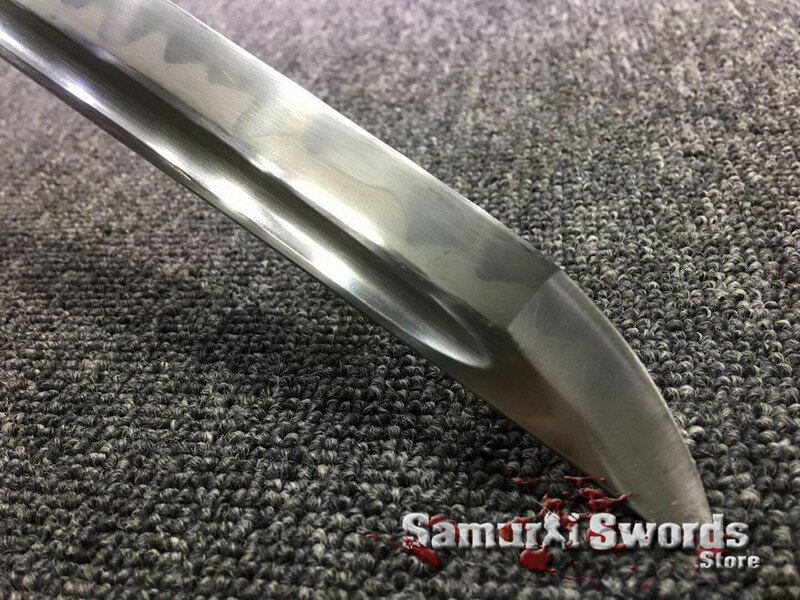 This type of steel makes the blade of this katana shirasaya. 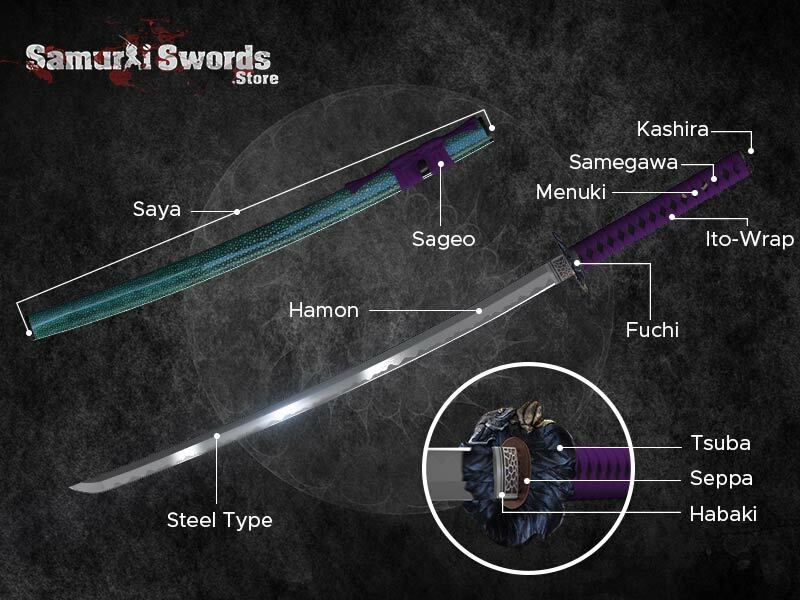 It contains 1% carbon which gives it a very hard edge. 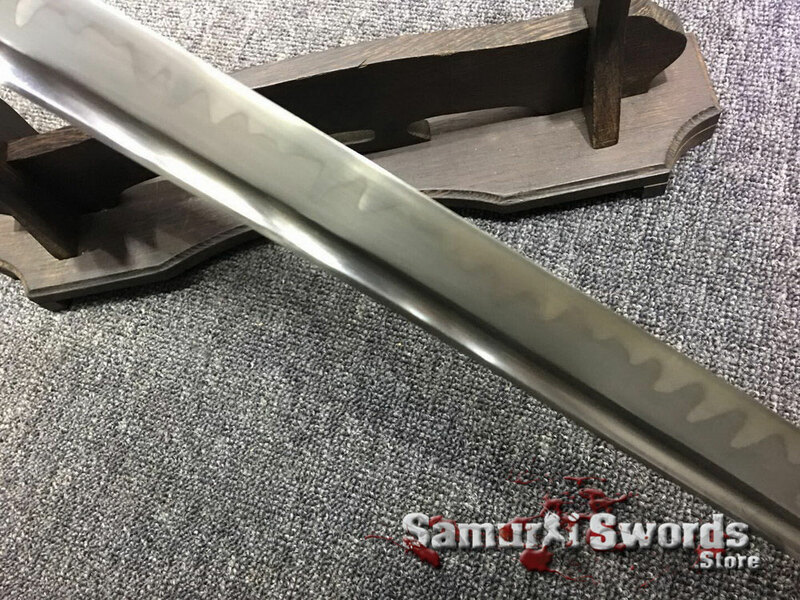 It goes through the process of differential hardening, allowing for a harder edge and softer spine for flexibility. 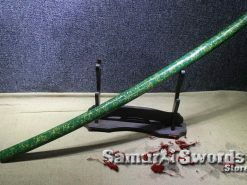 T10 is also the best choice for swords. 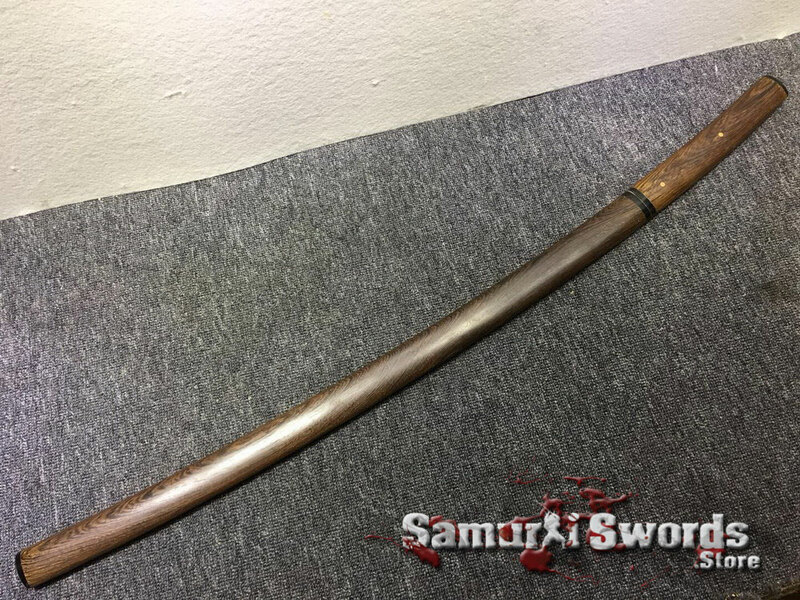 It is also clay tempered, making this shirasaya katana suitable for extensive tameshigiri. 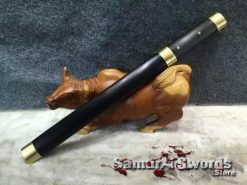 This can be achieved by the traditional process of clay coat tempering. 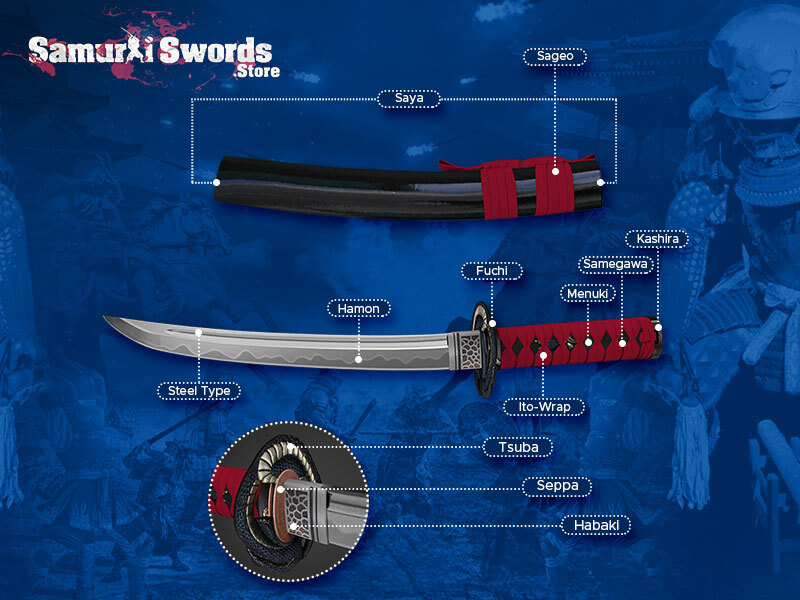 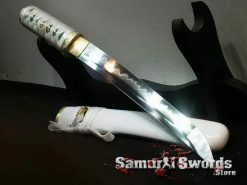 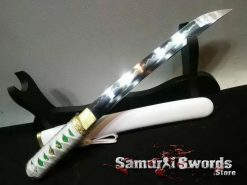 Since this is a sharpened sword, its blade is functional enough to withstand the rigors and challenges of real training. 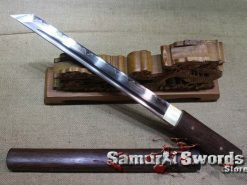 It is also a full tang katana shirasaya so its tang extends to almost the entire length of the tsuka. With that, the blade and the grip area is one solid piece of metal. 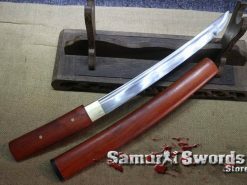 A full tang is one of the qualities of a functional sword. Since this katana shirasaya is one, it is a blade that you can use for actual training and cutting practice. 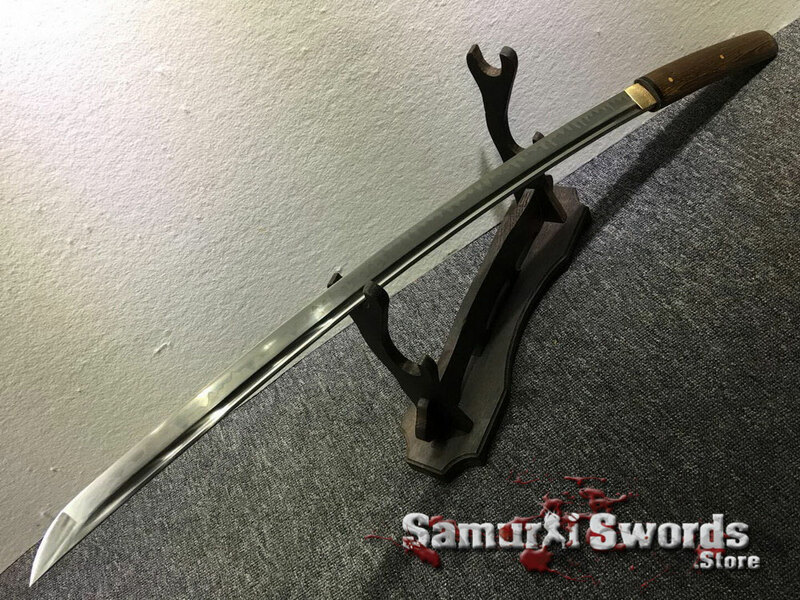 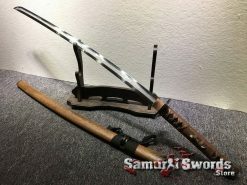 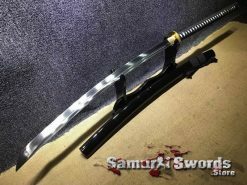 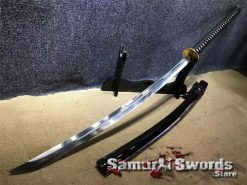 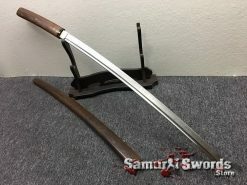 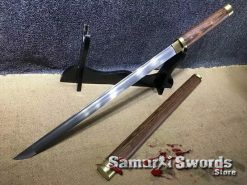 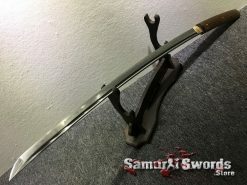 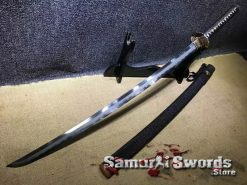 If you plan to use the sword for training, then this katana shirasaya is definitely something worth purchasing. 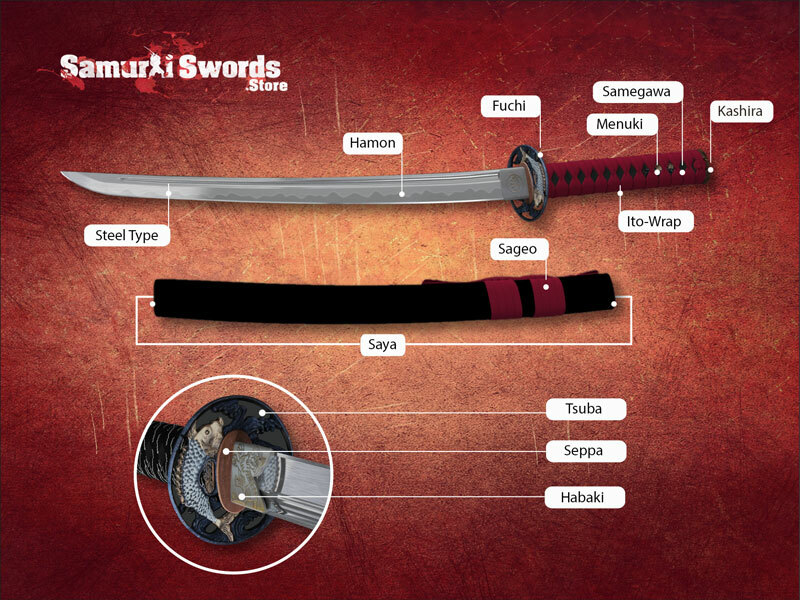 The sword has a blade measuring 72 centimeters long and 3.2 centimeters wide. Its tsuka measures 27 centimeters while its overall weight is 1.69 kilograms. 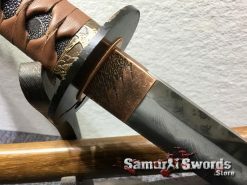 Though with the presence of a bohi, the sword feels lighter and is much easier to wield. The bohi is also called the blood groove or fuller. 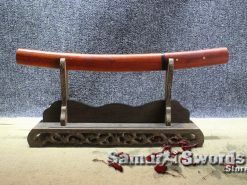 Rosewood is known to be resistant to rot and water damage. 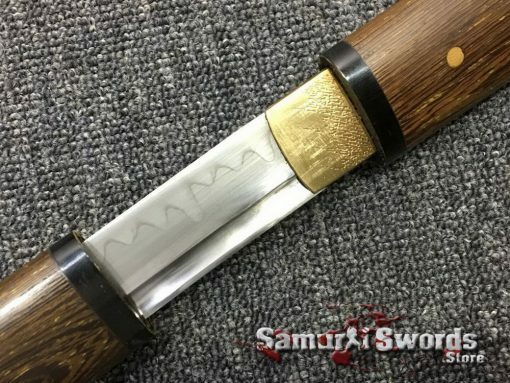 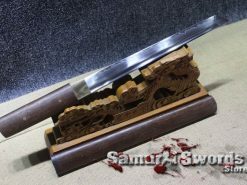 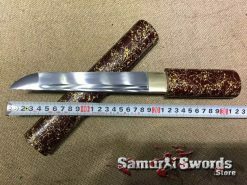 This makes for an excellent material for the saya of this katana shirasaya. 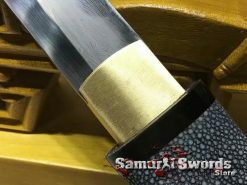 Generally, this works as a sheath to hold the blade and it mainly protects the blade when kept for display. 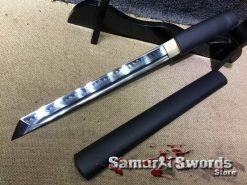 Also, the saya allows you to quickly draw the katana shirasaya during practice cutting sessions. 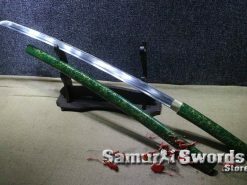 Also, a silk sword bag is included for carrying or keeping the sword. 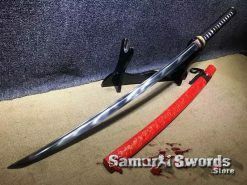 The origins of the Katana are unclear though it is usually associated with a mix of Chinese and Japanese craftsmanship. 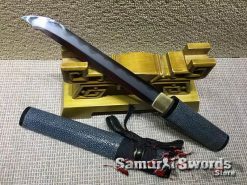 There are also a lot of evidence that the sword was introduced by the Chinese to the Japanese but in a different and earlier form. With the shirasaya, it is believed that it first appeared in the years 1603 and 1869 AD of the Edo period. 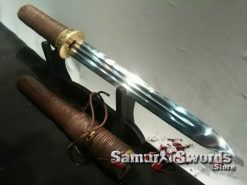 It seems possible since this was the time when laws restricting the carrying of swords in public was enforced.